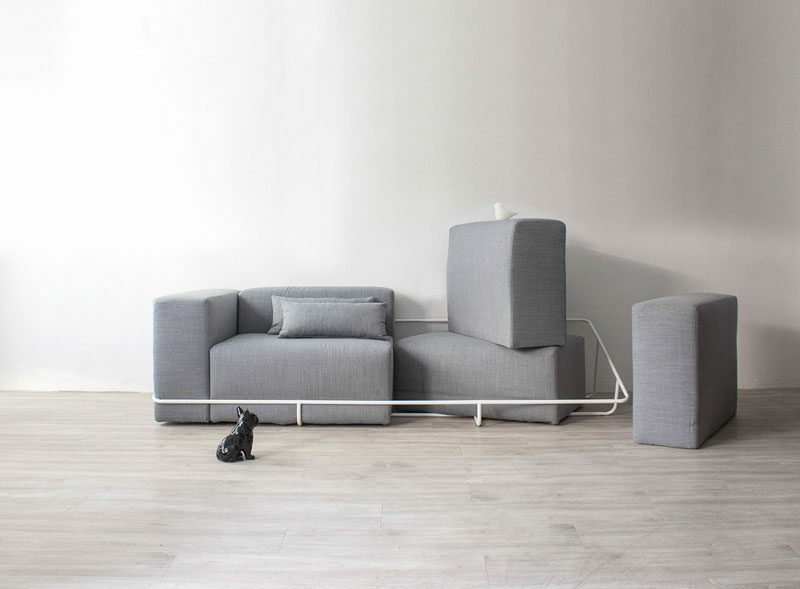 Seoul based designer Cho hyung suk, has designed a modern grey sofa that sits within a white metal frame for furniture and design company, munito. 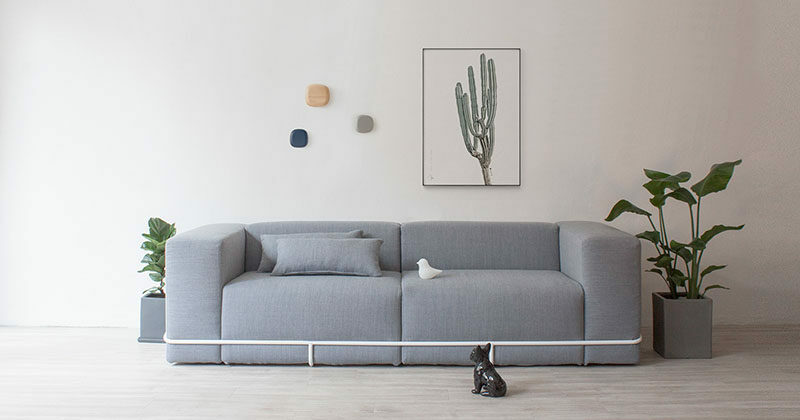 The Frame Sofa is made up of several upholstered sections that make up the body of the sofa, with them all fitting snugly into the frame that wraps around the sofa. 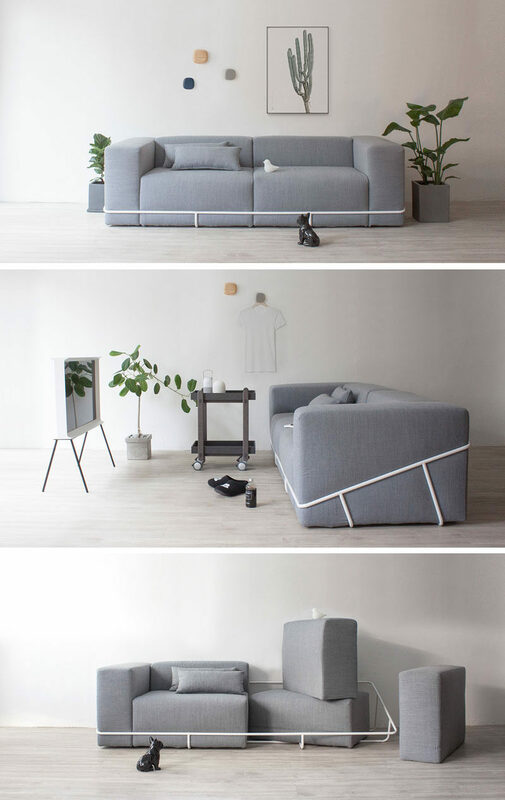 Here’s a closer look at the upholstery and the design of the cushions.